2. 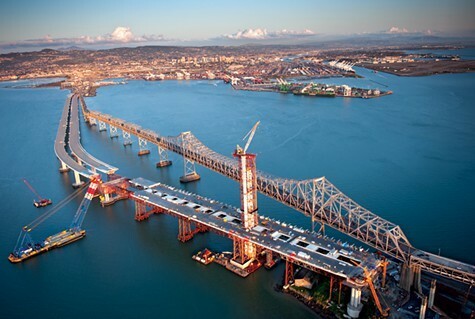 In addition to being plagued by badly designed bolts, the new Bay Bridge also appears to have widespread corrosion problems, the SacBee$ reports. The newspaper reported that Caltrans downplayed corrosion concerns raised by its own staffers seven years ago, and that its review of the problem was deeply flawed, according to experts. 3. The nonpartisan Legislative Analyst’s Office estimates that state tax revenues will be $3.2 billion higher than the Brown administration expects over the next year, the SacBee$ reports. The LAO’s analysis likely will prompt some Democrats in the Legislature to push harder to restore deep cuts made to the state’s social-safety-net in the past few years. 4. The Berkeley City Council is poised to raise fees on a host of permits — including the cost tattoo artists must pay to register with the city — in an attempt to increase revenues, the Chron$ reports. The council also is considering adding new fees — including one that would tax urban homesteaders who sell the food they produce. 5. The City of San Francisco is moving forward with a plan to eliminate free parking for disabled motorists, while adding additional disabled parking spots, SFGate reports. The plan is designed to cut down on the amount of disabled placard fraud in the city. 6. And many unions around the state are frustrated with Democratic leaders in Sacramento for failing to pursue progressive measures — such as enacting a tax on oil extracted in the state or making it easier to pass parcel taxes — even though the party has a super-majority in both houses of the legislature, the Chron$ reports.